Vogue Mexico has been riding a wave of success lately. The magazine made Adwoa Aboah look better than ever before, killed it with a trio of Lara Stone covers and made us weak at the knees for Edita Vilkeviciute last month. For July 2017, the Mexican title continues the trend of featuring big-name models with its latest Dilone cover. Photographed by Katja Rahlwes, Dilone (who was part of Allure‘s monumental diversity cover back in April) is all smiles as she makes her first Vogue cover appearance. Our forum members were disappointed by this month’s offering. “Vogue Turkey?” asked MON upon seeing the cover, suggesting the magazine had let standards slip. “It looks very cheap,” added narcyza. “Almost all the July covers of Vogue have been terrible and ugly,” declared versusitto. 333101 also wasn’t a fan of the outcome. “Katja Rahlwes’ covers always look the same, no redeeming features to them. Pleased for Dilone though,” she confessed. “Dilone looks beautiful, but they could have done so much better. A waste,” echoed forum member tjasmine. “What an awful cover. It’s very terrible. And if it was another model, the comments would have been much harsher that this,” apple pointed out. “Radiant smile, but this is an awful shot of Dilone. All on Katja Rawles. Quite a shame because this is Dilone’s first Vogue cover. 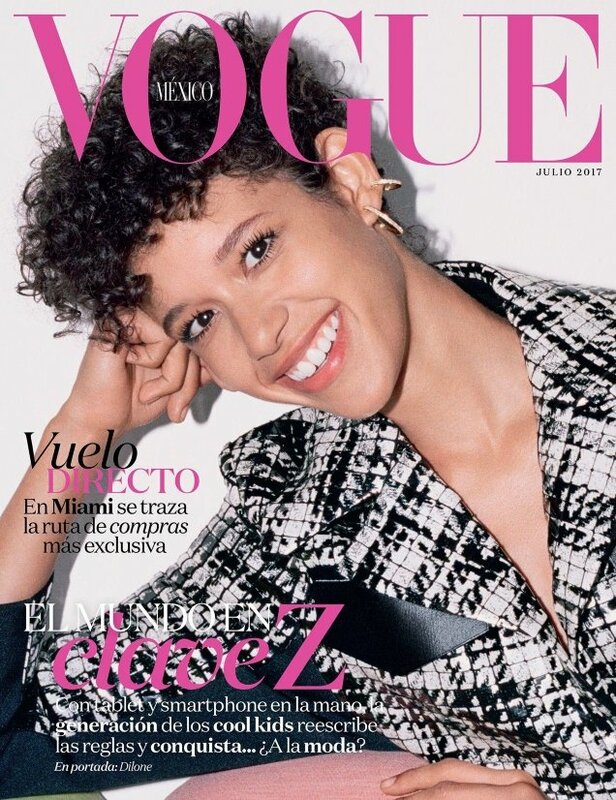 At least Vogue Mexico is trying some fresh faces – they’ve given Adwoa, Ysaunny, Ophelie, Taylor Hill, Cora Emmanuel and now Dilone their first solo Vogue covers! That’s commendable,” reasoned Benn98. Are you feeling it? Await more from the issue and add your own two cents here.